The proper pillow can make a world of difference to your comfort while sleeping, they make great gifts and complete your anatomically supported sleep system. Memory Foam, Latex, Triple Chamber Down, Contour Support Pillows, Therapy Support Pillows, Comfort PIllows, micro fiber pillows. We carry Tempur-Pedic Pillows, Comfor-Pedic Pillows, Embody Pillows, and a fine assortment of Pressure relieving Memory Foam, all natural and synthetic latex, and Premium Canadian Down Pillows. Getting fitted for the proper pillow takes no time at all and can make a world of difference. Everybody is different and require a different amount of support to comfort. Just like a mattress a pillow has to be carefully selected to ensure total comfort. Likewise pillows from ComforPedic, TempurPedic, and Embody are extremely durable and will last for years. 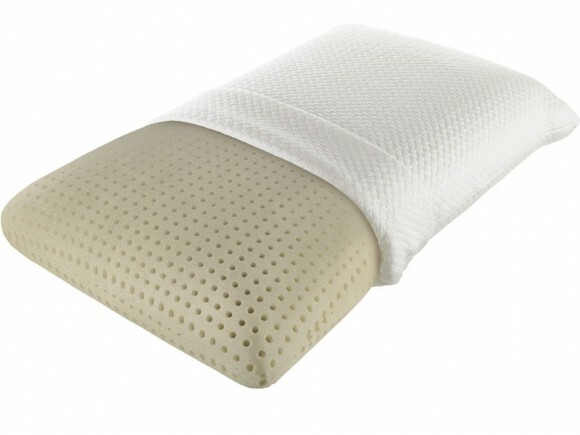 Take a look at some of the photos to view pillow models that we carry. ComforPedic Memory Foam pillows feature 3.5 lb NxG™ Memory Foam, which is designed to sleep cooler and more comfortable, they have Luxurious, stretch-knit cover, which is removable and washable. These are soft, yet resilient. The perfect combination of comfort and support.